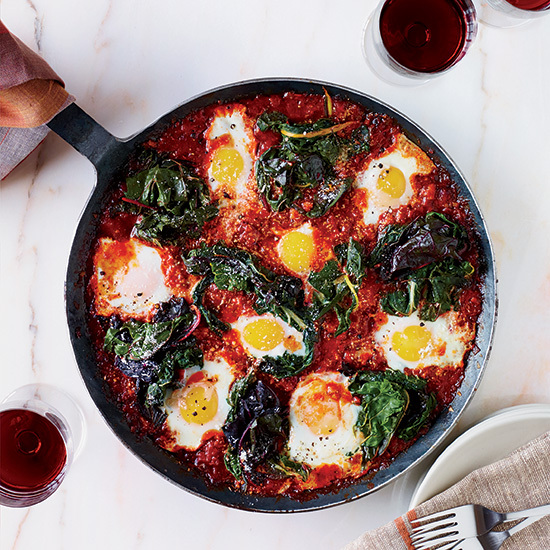 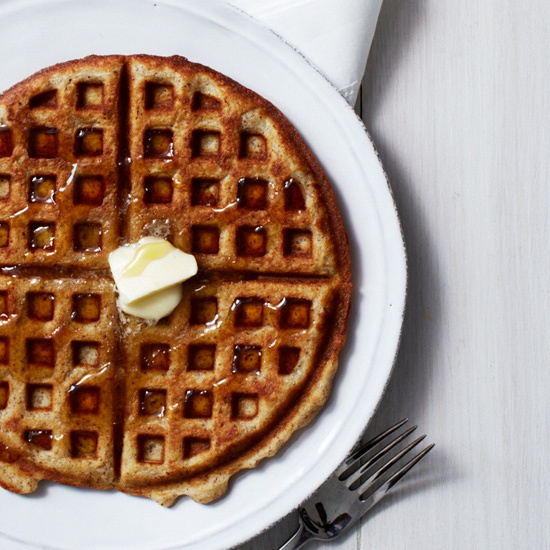 Cozy up to these delicious brunch recipes. 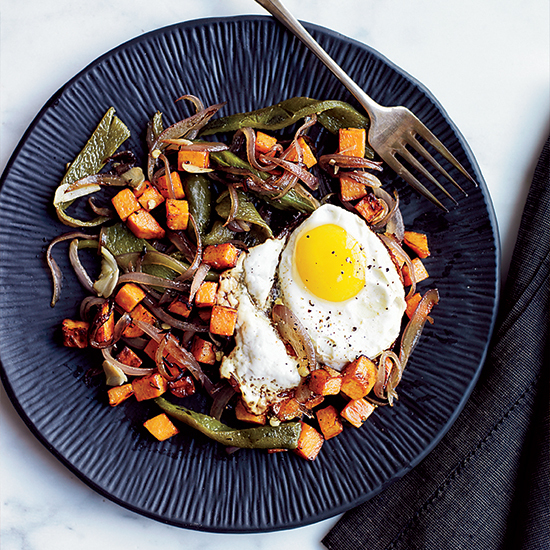 Too cold to venture out for brunch? 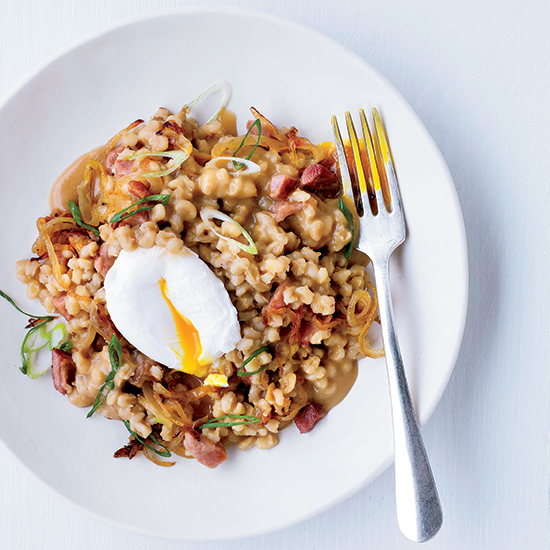 Stay cozy in your PJs and make one of these winter-perfect recipes at home. 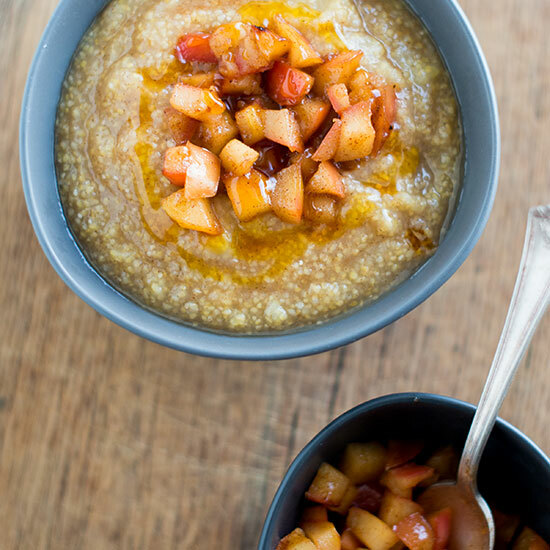 The added sweetness of maple syrup and cinnamon makes this polenta a morning favorite. 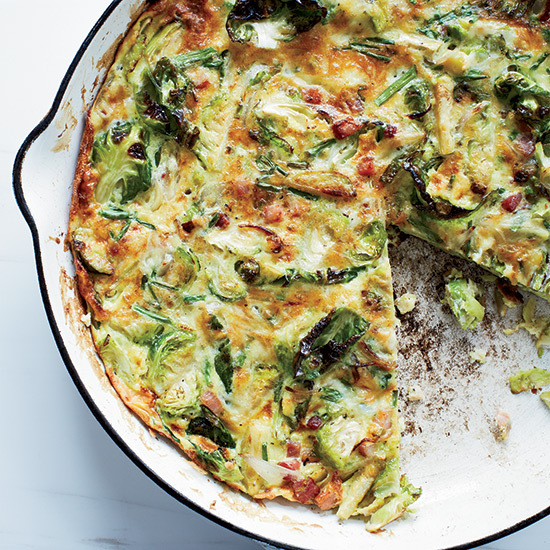 This quick, hearty frittata is loaded with crispy bacon and brussels sprouts. 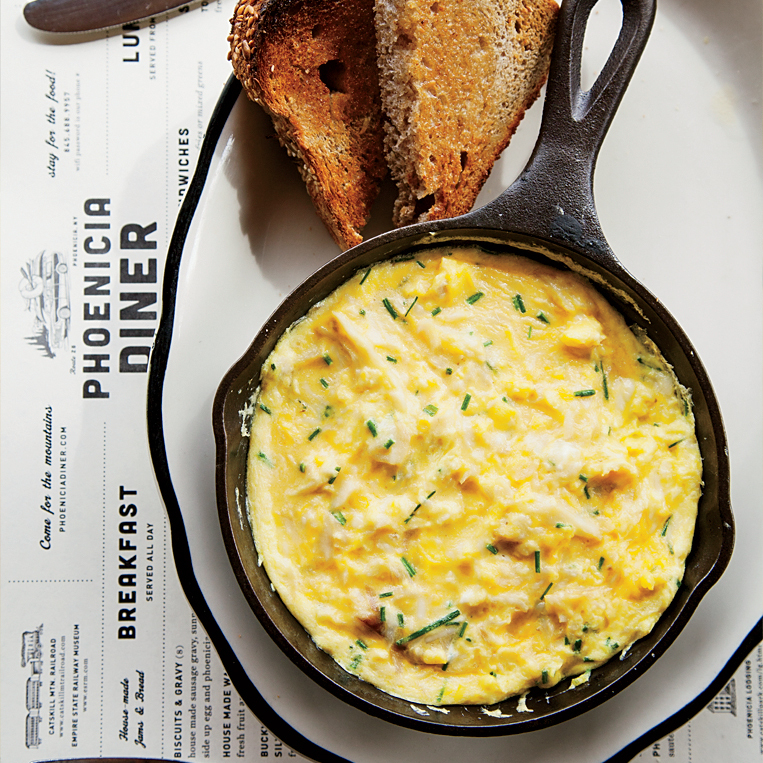 This creamy egg scramble studded with smoked trout is meant for one, but it can be easily doubled or quadrupled. 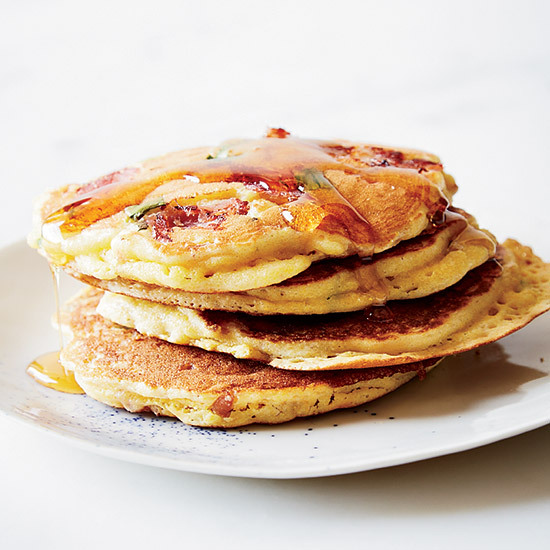 Chopped ham lends a deliciously savory quality to these golden pancakes. 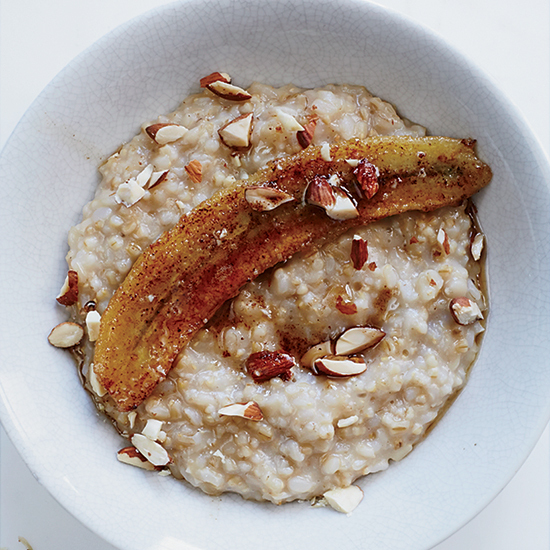 In this hearty porridge from F&W's Kay Chun, steel-cut oats and brown rice come together under a delicious topping of caramelized bananas. 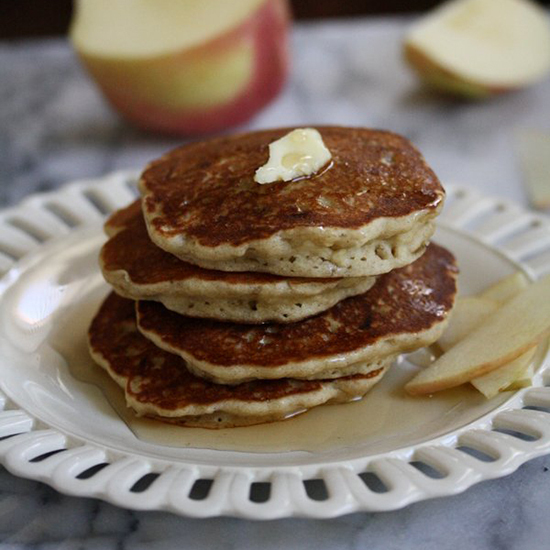 These wheat-free pancakes feature a mixture of almond and white rice flour, as well as relatively little milk to create a thick, fluffy texture. 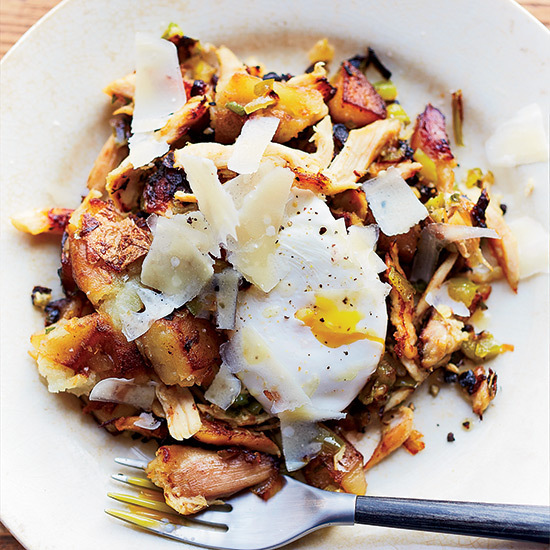 Using leftover chicken in a hash with green pepper, onion and jalapeños makes a nice, hearty breakfast.